When it comes to Hip Hop, New York is home to many great MC's and artists of all genres. Anyone who has ever visited the borough of Brooklyn will have seen its wide mix of cultures, ethnicities, and renowned musicians living within some of the most historic neighbourhoods in the world. Growing up within this melting pot has inspired the MC known as T.R.A.C. and as a result, he holds a deep burning ambition To Rule And Conquer the scene he is so immersed in. Although his roots lie in NYC Hip Hop, T.R.A.C. is also a long-time lover of breakbeats at 174bpm, taking inspiration from Marc Mac, legend of 4 Hero and Reinforced fame, who would eventually produce his debut album on BBE Records. Building a loyal following over the past ten years, performing at Drum and Bass events all over North America, Canada and Europe, it was on one such occasion that he caught the attention of V Recordings head honcho Bryan Gee who instantly recognised his lyrical skills and the opportunity to unite that East Coast Hip Hop style with its distant cousin from across the pond, Drum and Bass. A supreme lyricist, T.R.A.C. 's talents have seen him work with legendary producers such as Marc Mac and Lewis Parker. As a Drum and Bass MC, he's rocked stages with an ever growing list of A-class DJs such as LTJ Bukem, Roni Size, and Goldie (to name a few); and, is recognized internationally throughout his career in the genre as a premiere stateside born MC, with the roots of a talented Hip Hop artist. 'Life In Motion' is an album full of dynamics like life itself: deep, rolling basslines, crisp, perfectly clipped drums and jazz infused instrumentation, sound tracking a nocturnal journey across the city that never sleeps. 'Roots For Culture' resets the mood briefly with a blaxploitation-esque introduction, before plunging into subterranean levels of bass weight. Pushing relentlessly forward into darkness, only for the darkness to be occasionally pierced by spritely flute flourishes, shedding rays of light into the shadows. David Boomah chimes in with melodic riffs while T.R.A.C. waxes poetic with a Caribbean twist. Finally, the pace is slowed on 'Pursuit' (featuring Paul SG & Conrad). Paul SG produces a vibe chopping samples into a half step, low slung groove, shrouded in cyber dub ambience. The Brooklyn MC speaks on finding your happiness while the Legendary Conrad adds a heavenly harmonic tone to the atmosphere. 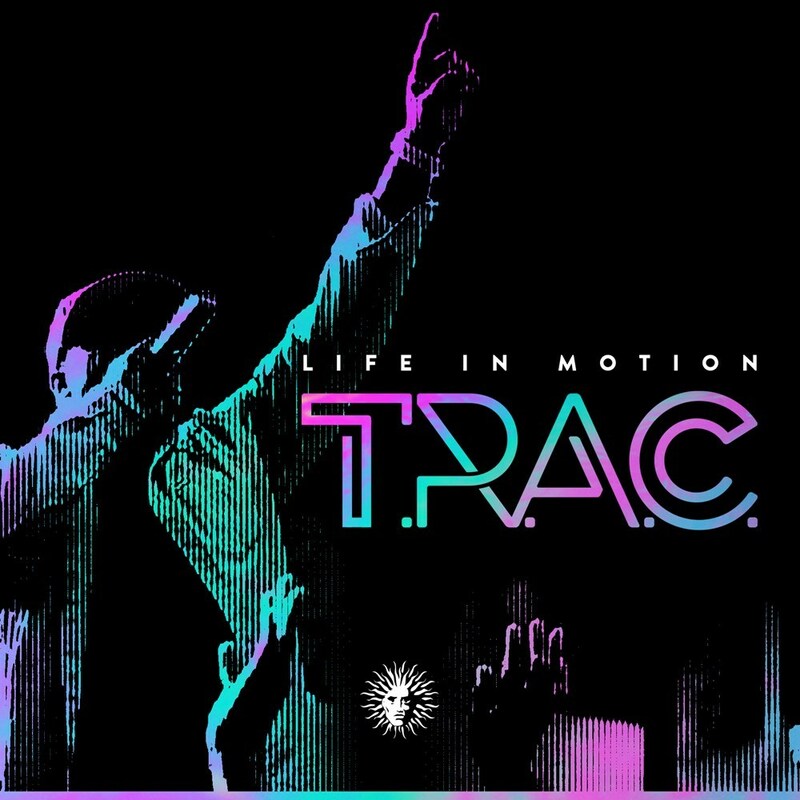 Featured on a plethora of projects for UK's Lewis Parker and Visioneer extraordinaire Marc Mac, T.R.A.C. released his BBE debut Hip Hop effort, 'The Network', in 2011 and received underground critical acclaim. He recently garnered further attention via a number of well-received releases on respected labels including tunes like 'The Partys Arrived', 'Bossin' Ova' (Dave Owen), and the now classic 'Higher Ground' (Submorphics).